Welcome to my entry for the Mabon Blog Hop! Mabon is the second harvest and this time, we’ve been asked to design a card that shows the spirit of Mabon! Damn, Maureen Aisling Duffy-Bose has corralled us right into the middle of things this time! 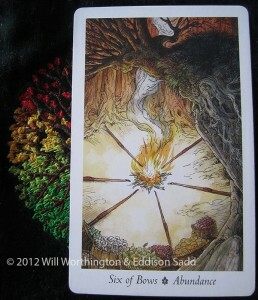 Reading her brief again, I can include a proper Tarot card, which is good! Whew! I don’t have the time this weekend to get a Tarot style image together. But before we go through that, what does Mabon actually mean? It’s the second harvest, which is when you’d harvest your potatoes, carrots, soft fruits, cabbages… Can you tell I’ve got an allotment with all this produce ripening and waiting to be picked? Walking the dog, as you do, I’m seeing a rather large stack of blackberries growing this year. The daughter and I are enjoying a sneaky handful of blackberries on our morning walks. There’s certainly more wild soft fruits around than last year. I have a sneaky feeling that the winter is going to be rather harsh this year. Time to bring all that goodness in, if you can! It makes me think of the Six of Bows. Look at all the baskets of produce set around the clearing! Mabon is the festival for thanksgiving, for restoring balance and integrating the summer into winter. Yes, you read that right. Winter; the time of snow, cold winds, roaring winter fires, hot chocolate and big winter coats. Mabon is an Equinox, the time when a Pagan is supposed to balance themselves out, reconcile opposites and working on seeing things as part of a whole. It’s also the time when day-time and night-time are of equal length. It’s time to understand the unseen (or even just believing that they’re there!) 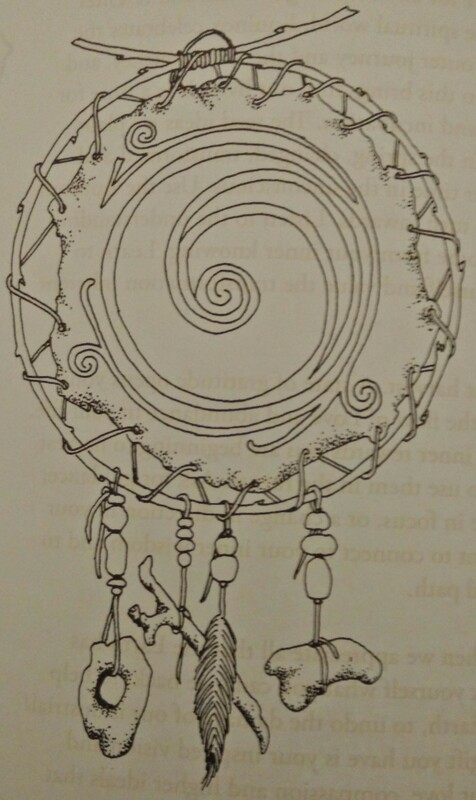 and working them into the seen, balancing creation and destruction, death and rebirth, materialism and spirituality. It’s time to celebrate our whole selves, male and female aspects, the conscious and unconscious. It’s time to celebrate it all, good and bad! Just as well I’ve got three celebrations this weekend alone! Birthday parties and wedding anniversary, to name the three! It’s encouraging my friend and I to plant more next year, and plan where we want things in 2016. Bring it on! 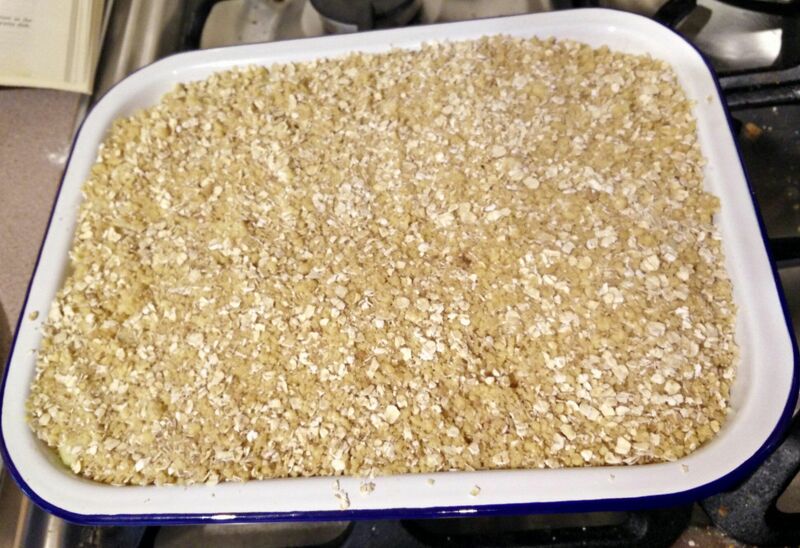 But first, where’s that crumble? I need to make some for Karen (who is up next) and Chloe (who came before me) whilst I prepare to do more consultations. 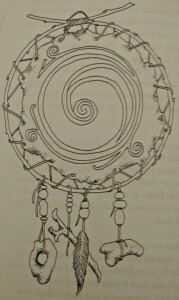 I’ve used The Wildwood Tarot and some of my imagery for this blog hop, but the Double Spiral below is from Page 192 of my Sacred Earth Celebrations book by Glennie Kindred! Time to dream a new dream! I wouldn’t recommend you do any mushrooming without guidance from someone very experienced. Damn…I was actually taking that walk with you …Smelling the crumble…not easy when on diet…I love your blogpost hon. 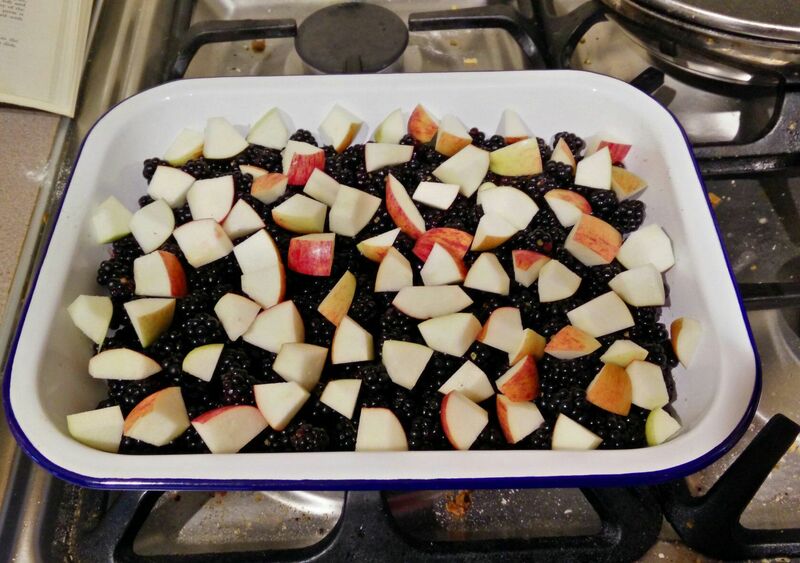 Your crumble looks wonderful and reminds me that I may never have ever made one before. That has to change. My neighbor from years back used to make amazing blueberry crumbles after she went blueberry picking. Thanks for the inspiration! I took the boys and my BF’s (with said BF) boys blackberry picking. 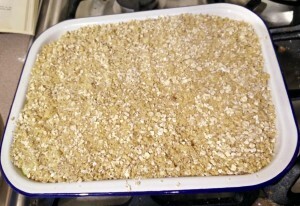 We had enough to make huge crumbles each!